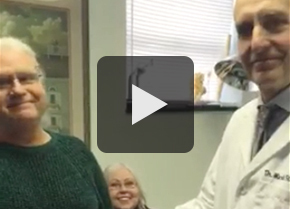 Watch video testimonial of Nancy Hutchinson who received a MAKO Partial Knee Replacement. 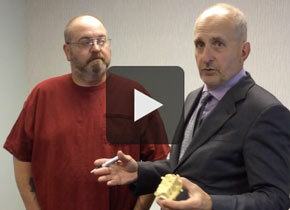 Watch video testimonial of Patrick Thornton who received a MAKO Partial Knee Replacement. 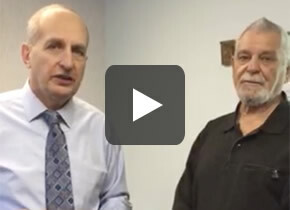 Watch video testimonial of William Kohn who received a MAKO Partial Knee Replacement due to arthritis in his knee. Watch video testimonial of patient Chester Petzold who received a Mako Robotic Assisted Partial Knee Replacement. Chester experienced severe pain prior to the surgery and can now work on his farm without any pain just two weeks after. Watch video testimonial of patient Jennifer Gaus who received a Mako Robotic Assisted Partial Knee Replacement and can now walk very well just a month after the surgery. Watch video testimonial of patient Thomas Deloughary who now has no pain in his knee after having a MAKO Partial Knee Replacement. Watch video testimonial of patient Pamela Doan who now has no pain in her knee after having a MAKO Partial Knee Replacement less than three weeks after surgery. 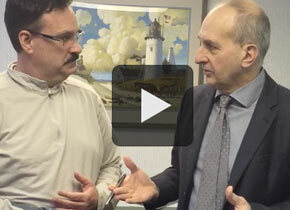 Watch video testimonial of Matthew Helm who had rotator cuff repair and is now pain free. 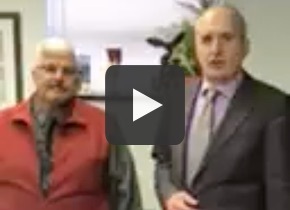 Watch video testimonial of Michael Winchell who received a Reverse Shoulder Arthroplasty. Watch the before & after video of patient Brian Cantwell who received a Reverse Shoulder Arthroplasty. Watch video testimonial of patient Shelly Young who experinced a rotator cuff tear of her right shoulder and can now can raise her arm 90 degrees just two weeks after the surgery. 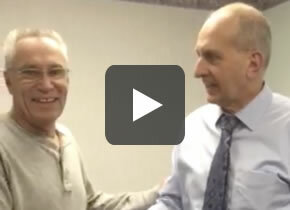 Watch video testimonial of patient Darrell Shepherd who can now raise his left arm again after having Reverse Shoulder Arthroplasty. Watch video testimonial of patient Nancy Walton, who can now lift her arm completely just three weeks after having Reverse Shoulder Arthroplasty. Watch video testimonial of patient Neoma Young, who can work in the garden again after Reverse Shoulder Arthroplasty repaired her shoulder. 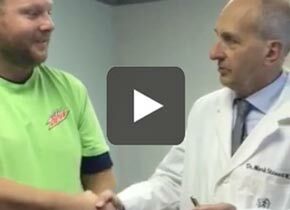 Watch video testimonial of patient John Edwards, who is still doing phenomenal 1 year after his minimally invasive computerized total knee replacement. He is able to workout, lift weights, jump and even snow ski. 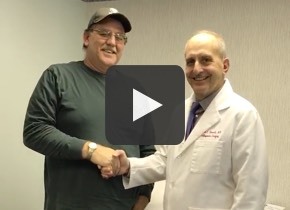 Watch video testimonial of patient John Edwards, who can walk and jump again just three weeks after Minimally Invasive Muscle Preserving Total Right Knee Replacement Surgery. 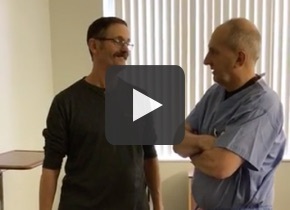 Watch video testimonial of patient Randy Hampshire, who had his hip replaced through a modified Anterolateral Approach. 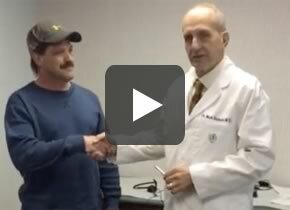 Watch video testimonial of patient Art Dore, who can walk unassisted less than two weeks after muscle-preserving Total Hip Arthroplasty Surgery. Watch video testimonial of patient Gary Heilman, who can walk, run, and jump again after Total Hip Arthroplasty Surgery repaired his hip through minimally invasive, muscle-sparing techniques. 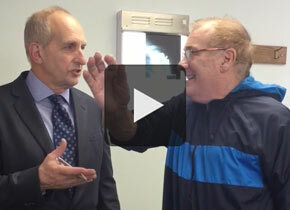 Watch video testimonial of patient Lawrence Pearson who recevied Artificial Disc Surgery about a month ago and now has good mobility in his neck. 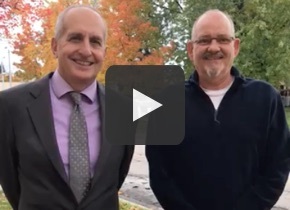 Watch video testimonial of patient Craig Fleming who recevied Artificial Disc Replacement—Mobi-C.
Watch video testimonial of patient Robert Wind, who now has full motion of his neck just two weeks after Anterior Cervical Discectomy and Fusion. Watch video testimonial of patient Scott Terrian, who is back at work and without pain after Shoulder Replacement Surgery. 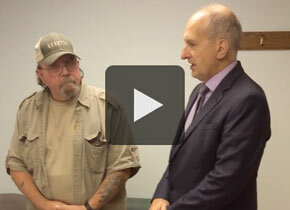 Watch video testimonial of patient Duane Lorenz, who can go to the gym and do mechanial work after Shoulder Replacement Surgery repaired both shoulders. 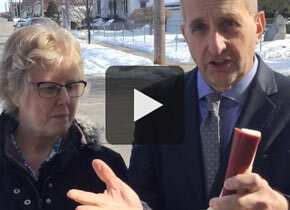 Watch video testimonial of patient Patricia Phelps, who had Arm Surgery to repair a broken arm. Watch video testimonial of patient Cameron Wilson, who was paralyzed and can now walk again after Cervical Fusion Surgery. Watch video testimonial of patient Lawrence Patterson, who is pain free after Lumbar Spinal Decompression Surgery. Watch video testimonial of patient Margot Albretson, who is pain free no longer has leg pain after Spinal Decompression Surgery. Watch video testimonial of patient Patricia Wilson, able to walk and dance again after Lumbar Spinal Decompression Surgery. Watch video testimonial of patient Craig Cook who received Spinal Decompression and Fusion Surgery. 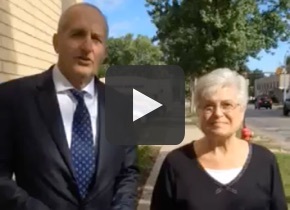 Watch video testimonial of patient Sheila Schoof who received Lumbar Laminectomy and Fusion Surgery. Watch video testimonial of a patient able to run just 2 months after Minimally Invasive Knee Replacement Surgery. 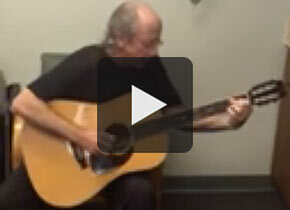 Watch video testimonial of patient Jonathan Garon who tore his Biceps Tendon lifting a guitar case 3 weeks ago. As a professional musician, he is now able to play the guitar again just 2 and a half weeks after the surgery.